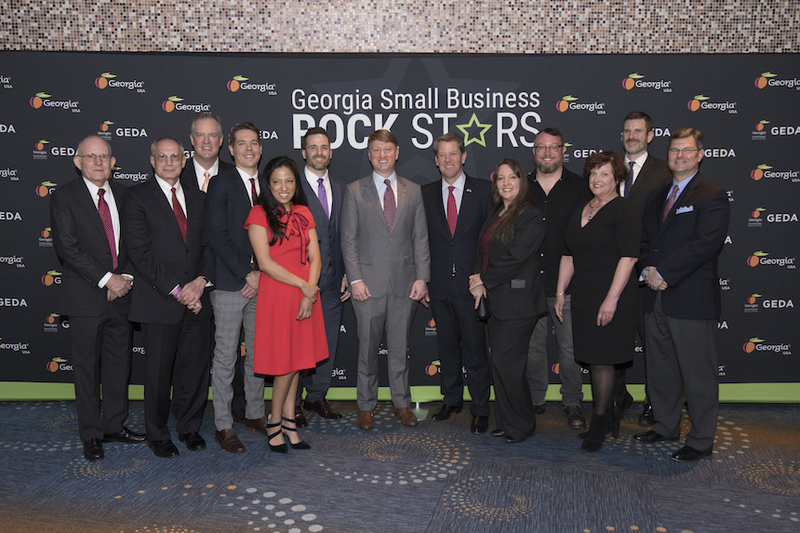 At a luncheon with Georgia Department of Economic Development (GDEcD) and the Georgia Economic Developers Association (GEDA) on March 18th, four local businesses were named Georgia’s 2019 “Small Business ROCK STARS.” These included ASW Distillery in Atlanta, InPrime Legal in Marietta, Oyster Fine Bamboo Fly Rods in Blue Ridge, and Southern Fiber Worx in Cordele. Small businesses that are deemed the ROCK STARS are recognized for the impacts they make in their communities, which include “increases in revenue, sales, exporting, product lines, job creation and overall economic impact.” A panel of judges chose the aforementioned four businesses out of over 350 submitted nominations. GDEcD Commissioner Pat Wilson noted that the State of Georgia currently has around 800,000 registered small businesses and that “supporting them is a critical component to our economic development success.” The State of Georgia recognizes this and provides a lot of guidance as to how to start and maintain a small business in the state. According to the State of Georgia’s criteria, small businesses are “independently owned and operated and have fewer than 300 employees” or “bring in less than $30 million in yearly gross receipts.” The State provides assistance from the very beginning, even offering a self-assessment that helps individuals determine if they are ready to create and maintain a business as well as a lengthy FAQ that answers both simple and complex questions including inquiries about registrations, licensing, laws, taxes, and so on. The State of Georgia wants everyone to be able to have the opportunity to start a small business so it also provides resources for minorities, women, youth, and veterans who are interested in taking a huge step and creating something great. The State also offers insight on how to grow newly created businesses, which includes information on contracting, expanding, relocating, getting certified, obtaining grants, and resources from the University of Georgia’s Small Business Development Center’s (SBDC) GROWSMART program. Small businesses in Georgia are also assisted by other entities and organizations. For example, the Georgia Department of Transportation recently announced it would be partnering with the University of Georgia’s Small Business Development Center (SBDC) to provide a workshop for “eligible small business owners, Disadvantaged Business Enterprises (DBEs) and veteran-owned small businesses interested in learning about projects funded through the state.” Other workshops are offered periodically, many of which are free to attend. 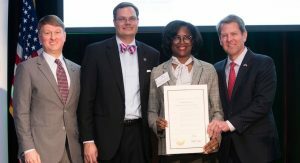 Additionally, the Georgia Chamber of Commerce and Anthem Blue Cross and Blue Shield also partnered to create the Georgia Chamber SMART Plan, which aims to offer “rate stability and potential savings” on health insurance to small businesses that have under 50 employees. Of course, the U.S. Small Business Association (SBA) is also very helpful for the State. Just this week, the SBA announced it would be accepting applications in certain counties for “low-interest disaster loans” after Governor Kemp requested a “disaster declaration” following the tornadoes that hit certain areas earlier this month. The SBA also offers workshops at its District Office in Atlanta. Overall, there is no shortage of assistance available that is geared towards helping small businesses start, grow, and thrive in the State of Georgia. From the State’s resources itself to outside entities providing funds and guidance, everyone is encouraged to make their innovative ideas realities that will help the economy and keep the State ranked as one of the best to maintain a small business in.